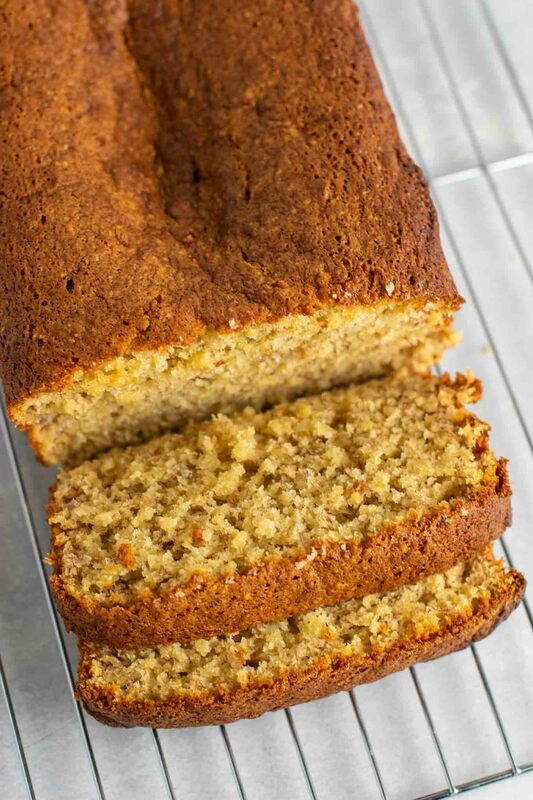 Adding bananas to cake mix results in bread that is incredibly moist, fluffy, and delicious. When you want a quick snack to bake? Banana bread made with yellow cake mix! Just like my other cake mix recipes: cake mix brownies, chocolate cake mix cookies, and cake mix cookie bars, and cake mix chocolate chip cookies, this recipe is simple, only a few ingredients, and guaranteed delicious. Just look at that super fluffy texture! Add your cake mix, eggs, vanilla, cinnamon, mashed overripe bananas, and olive oil to a large bowl. Grab your mixers and beat until well combined. This is a great recipe for kids to help make! My two year old helped whip this up with me and had a blast. Spray a loaf pan with nonstick cooking spray and pour the batter in, smoothing out the top. Bake at 350 degrees for 50 – 60 minutes, until a toothpick inserted comes out clean. Be sure to allow loaf to cool completely before cutting for easiest results! What cake mix should I use? Just a box of your favorite cake mix will work! Make sure it is close to 15 oz and not much larger. Can I use other flavors of cake mix? Yes you can! Maybe you’re in the mood for a chocolate banana bread or a cinnamon spiced banana bread! Can I add chocolate chips? Yes, this recipe is very customizable! Add in some chocolate chips, nuts, or your favorite mix in to make it your own! Do I have to add vanilla and cinnamon? Nope, I just love adding that classic cinnamon hint for my banana bread, but it would be delicious without it too! The result is super fluffy, sweet, perfect banana bread. 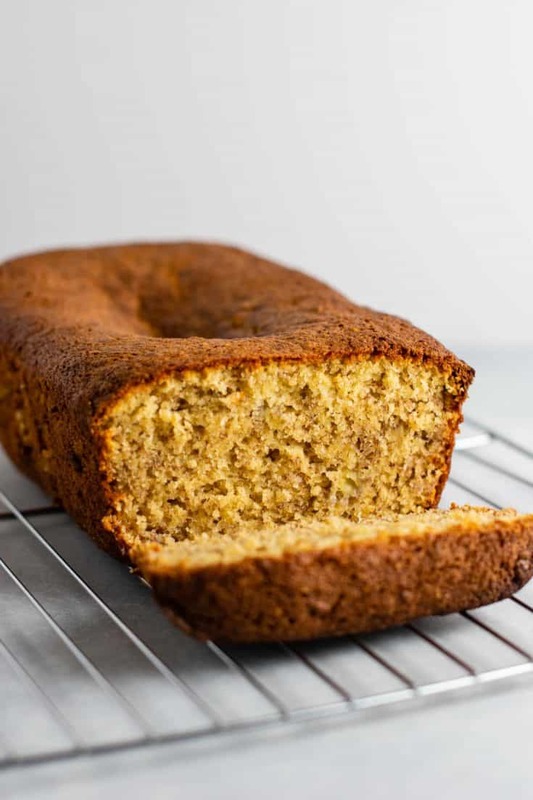 Adding bananas to cake mix can be a great way to use up ingredients you already have on hand and make a delicious treat! Mash those overripe bananas up, add in your cake mix, eggs, oil, and spice and you are ready to go. Simple, foolproof, and a family favorite. 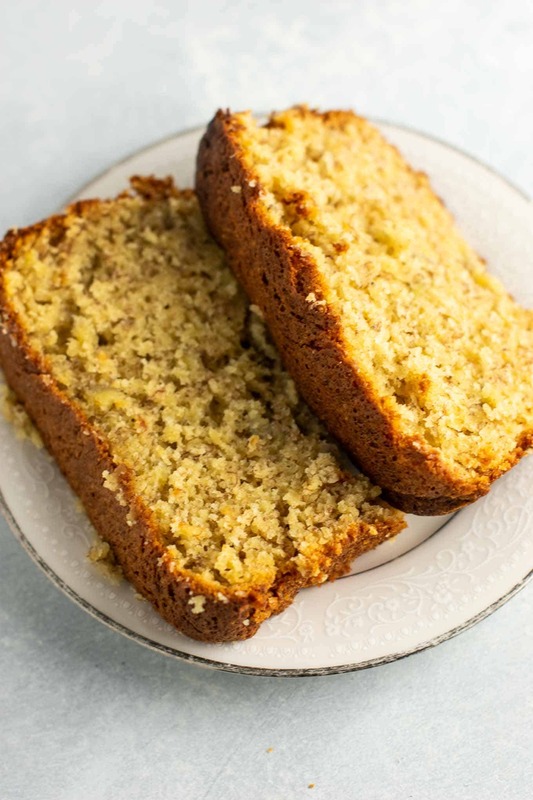 Pin this banana bread recipe for later!